おっす! Jamais vu.. August was a doozy. It’s good to be back into the swing of things though. Medical issues and lack of sleep haven’t left me in the best mood to keep up on my interests, but I still managed to sneak a few anime movie viewings in there, along with some Summer series stuff. Floating over a decaying Earth is the great space station DEVA. This place harbors the continued existence of humanity, with its residents residing more in virtual space than physical space. After the appearance of a cyber terrorist calling himself Frontier Setter whose words and actions threaten the sanctity of DEVA, Angela Balzac, an agent of DEVA, is sent to Earth to track down this Frontier Setter and bring him or her to justice. Her contact is a man named Dingo, who has lived on Earth all of his life. With his aid, and the arsenal provided by DEVA, Angela assumes she is prepared for what lies ahead. As time goes on and technology improves and the methods of using said technology becomes more streamlined, I suspect anime series utilizing this type of CG animation will become more commonplace. Typically I’d roll my eyes, but Rakuen Tsuihou uses CG quite well. If you’ve seen footage of or played the recent Guilty Gear Xrd, you can get an idea for how this film looks, with its CG characters animated with lower frame rates to emulate the way traditional animation moves. The story is well paced, though it’s a story more worth its ideas than the journey of its characters. Angela is a good fish out of water, and voiced by the Tsundere Queen for good measure, but aside from her, the other characters don’t offer much save to move the plot along. If you’re looking for philosophy, Rakuen Tsuihou shouldn’t disappoint. In the distant future, humanity has developed the ability to travel freely through outer space. This leads to a boom in exploration, expansion, and reproduction, which in turn leads to Earth becoming unable to support humanity. A war breaks out, and to avoid the destruction of Earth, it is decided by the Gaia Sanction that Earth should become a sacred site, and travel to it policed heavily. In the depths of space however, a dark hero whose legend proceeds him has a desire to return to Earth, and he may do anything to make that wish a reality. It should be said first that I had no previous understanding of Space Pirate Harlock prior to seeing this film, and as such, perhaps some of its contents are lost on me, but as someone fresh to the series, I found this film to be rather dull by terms of both plot developments as well as character. The overall concept of the Earth being a sacred site is an interesting one, but the lead up to the true nature of this film’s world (or I guess you’d say universe) did little to draw me in. The visuals are great, though stylistically rather drab (clearly their intent), and save for the good captain, I would be hard-pressed to name a single character or detail anyone’s specific motivations. 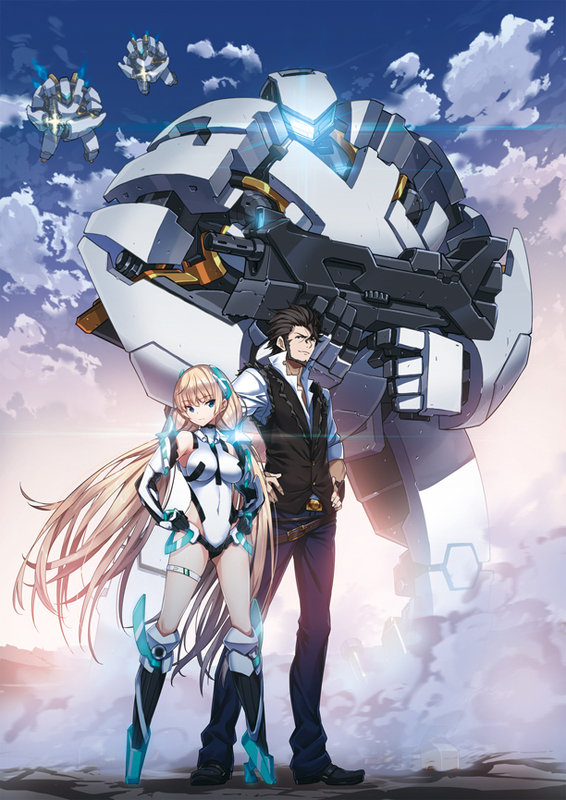 I may check out the tv anime at some point, because I do believe there’s potential in the setting, but this film was rather forgettable. 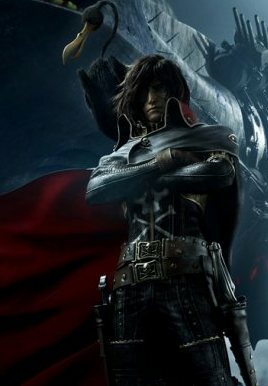 The CG is beautiful, but save for a single interesting development very late into the film, Captain Harlock failed to grab me in any meaningful way. 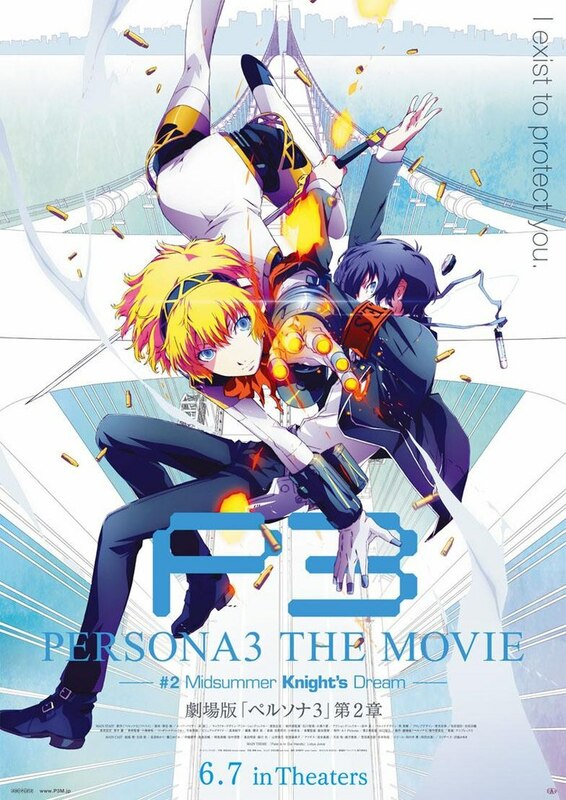 Continuing from the events of Spring of Birth, Persona 3 The Movie #2 follows Yuuki Makoto and the other members of the Specialized Extracurricular Extermination Squad as they tackle the labyrinthine construction which grows out of Gekkoukan High during the enigmatic Dark Hour. With the potential promise of a method to eradicate the Dark Hour for good, their journey leads the members of SEES to question their own motivations, has them cross paths with new allies, and brings to light a formidable new foe. It is no doubt a difficult thing to compress ~100 hours of JRPG story-telling into a mere half-dozen hours, but they’ve gone two for three so far with translating that hearty narrative into film form. Corners are of course cut; subplots are bent around to fit into the shape of film narrative and the supporting characters from the game’s Social Link system play cameo parts at best, but for a condensed version of this narrative, so far at least, they have done a good job. As was the case with Spring of Birth, the visuals are both stylish and visually interesting, while retaining the dark, moody tone this game deals in. There is decent comedy in the early-going, and the place they chose to cut off for the third film was terrific. I am avidly looking forward to seeing how they wrap everything up, as Persona 3 has quite the ending, and I’m curious as to whether the events of The Answer will make it in. If you’re a fan of the series, don’t pass these films up. If you’re not yet a fan, maybe check the games out? The films are great, but there’s so much more found there. We are but moments from Metal Gear Solid V. Very exciting. The Summer anime season continues, with Gakkou Gurashi! and Charlotte pulling ahead from the bunch as stars of the season as far as I’m concerned. There are a myriad of series on the back burner, but I’m still struggling to catch up on everything I’ve already started. Frustrating.